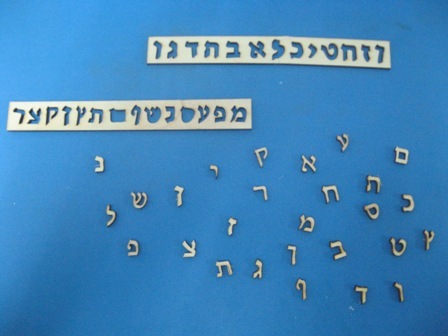 These letters of the Hebrew alphabet can be painted & decorated to make name plates, signs, plaques & more. It is a great way to learn the Hebrew alphabet as well as becoming familiar with Hebrew words and reading Hebrew. The letters can be used as a stencil to copy the letters, decorate with them, play with them, learn to write and read & more. Each letter's size is approximately 1x1.5 cm.